Everything to do with websites, from bespoke hand coded website's with built in administration features to wordpress designs and ecommerce. 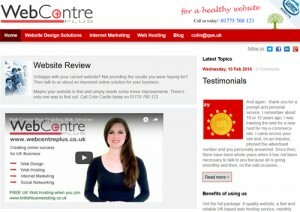 There are two main ways to build a website with the Spalding website design centre, the hand crafted web design solution favoured by larger companies or by using the wordpress content management system, a favourite solution for the smaller business due to it's lower cost and ease of use. The cost of a hand coded bespoke website design will be determined by your requirements, the wordpress website costs a standard rate of £395. The wordpress solution is very easy to update and add new pages, even for the novice. 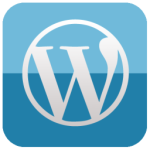 WordPress has become very popular recently and is constantly being improved and updated. The way to add a new page is simple, just a click, a little typing, another click to upload an image and a simple copy and paste to include a video, click publish and you have a new page live on the Internet for all to see. If you combine this with our auto social network publishing solution and you will soon have your own professional self marketing website. Then there is the Ecommerce site, anyone wanting to sell online will need an Ecommerce website, we have our own solution built in-house to cater for any type of ecommerce requirement or if you prefer, there's a wordpress version that is very comprehensive and would suit any type of company product. 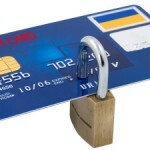 Ecommerce doesn't have to be expensive, for just a few hundred pounds you could be selling online in a couple of weeks. Website Design Solutions: A good web design these days is only part of your online success story, you must have other things in place too, a basic web design will get you online but there is more to consider, such as being able to update your own website yourself for example. 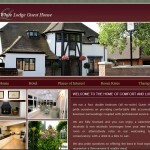 Check out our web design page or contact us here. To be successful online you need an eye catching fast loading web design, a matching blog that automatically updates your home page and your social networking sites too, and be able to add unlimited pages yourself with ease. Another crucial element is regular high quality back links. Need someone to do everything for you? Order our website management service. Seriously, having a website isn't much use if no one gets to see it, or you host it on a low budget hosting solution you find cheap on the Internet, or you ignore the advice of your web designer and insist on so many pictures on the home page, it takes so long to load once people finally find it that they simply go somewhere else. For a successful website you need a handful of criteria, first of all, a good quality fast loading web design, not infested with pictures. You must also have plenty of good quality original content. You can improve your download speed by removing any unnecessary images and by using the right kind of web hosting service. Then, build back links to your website each month and be sure you are active in the social network arena. Benefits of Using A Local Web Design Firm: It really doesn't matter where you live you will find plenty of local web design firms in your area, so why would you use a company who is based 100 miles away? Your best option is to choose a local web design firm, this is because it makes it so easy to visit them, or they can visit you to discuss face to face your requirements and what you are looking for to ultimately create the best possible website design to suit you and your businesses needs. Every business has different requirements and finding the right web design firm is crucial, but if you shop around and see what the different web firms have done for others, you will soon find the right company you can trust to do the job right for you. Modern Web Design Packages: Your business needs a modern web design package, it's no use to you or anyone else if you have an old web design that's not been updated for year's. Talk to us about an upgrade for your company and start to generate new interest from Google, we will build you a modern web design consisting of a new website, a search engine friendly easy to update blog and 30 monthly high page rank links pointing back to your website. If you want to sell online then of course you will need a bespoke ecommerce web design solution to suit your needs.